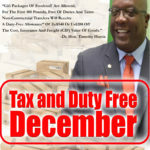 The year 2017 is history and 2018 has dawned a fresh start on the calendar of time for St. Kitts and Nevis (SKN). As citizens, we can reflect on the shortcomings and successes of our leaders in 2017, and assess whether or not, their work contributed to building bridges and partnerships, based on trust, truthfulness and love for country. Love for self and love for one’s political position and party is NOT love for country. 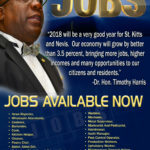 There are several political parties and leaders in the Federation, and in Nevis, both former Premier Vance Amory, and new Premier Mark Brantley, have been given a resounding vote of approval for their outstanding work, team spirit and sound leadership in Nevis and also, as an integral part of the Team Unity government. 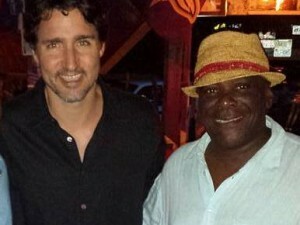 In St. Kitts, we have two leaders whose actions and performance were vastly different, like night and day. One leader continued a course of abuse, promoting lies and party propaganda in a desperate quest to regain political power. The other leader distinguished himself as a man of honesty, integrity and love for all people, including those who do not support him. One leader has a heart made of stone, the other a heart made of flesh. One leader acts to promote deceptions, misleading information and hinders economic development while the other leader promotes unity, inclusiveness, togetherness and economic opportunities. 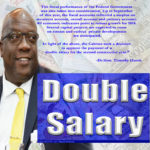 Prime Minister Timothy Harris has towered above the personal attacks; abuse and mischief directed at him and has focused on building a strong foundation for SKN with his competent team of ministers. The accolade of SKN PERSON OF THE YEAR 2017 for PM Harris would be a most fitting award for the level of decorum and ethical standard shown by him. While not a perfect individual or leader, he has returned to the office of the PM a high level of trust, dignity, conduct and respect. A Prime Minister should lead, inspire, influence positively and set examples for others to emulate. PM Harris’ astuteness and level-headedness in decision making was evident throughout 2017 and the country benefitted. Once again, the office of the PM can be trusted; its utterances are not baseless, devoid of facts and aimed at threatening opponents. A sense of calm and confidence has returned to government headquarters as the country knows that decisions are discussed, agreed upon and made with the strength of a very capable team behind its leader. Hon Dr. Timothy Harris speaks for the team, not just himself, because there is greater strength in unity when ten persons are building and supporting each other. On the other hand, there were ten voices, haunting and making an angrier, more aggressive, increasingly dictatorial and out of control leader who declared strength by shouting he is TEN MAN in one. That kind of nonsensical and delusionary leadership is gone from government headquarters and has been replaced with leadership based on soundness, maturity and recognition of reality. 2017 provided confirmation that a leader’s power and authority is to be used for the good of the people and their development, and what a difference it has been with Timothy Harris as Prime Minister, SKN’s PERSON OF THE YEAR. A family with a strong, loving and caring father brings the best out his children and wife. A team is lifted by an inspirational leader to achieve many victories. A talented athlete like Usain Bolt reached great heights and set new records because he had an outstanding coach who believed in him, even before Bolt believed in himself. A country with a leader, who believes in his people, hears their cry, sees their suffering and has a vision for their healing, success and prosperity, like Usain’s coach, will fight for their well-being and comfort. Timothy Harris is that kind of leader and he displayed the attributes of such leadership in 2017. Read or listen again to his presentation of the 2018 budget promoting SUSTAINABLE DEVELOPMENT for the people. A man can be given a nutritious meal and that is a kind gesture but he is only fed for a day. Teach him a skill, and give him opportunities to earn a living, and you will empower him for life. That is the meaning of sustainable development, the true meaning of people development! It is a blessing to have a leader who cares, one who thinks of ways to help Kittitians and Nevisians by implementing people oriented policies. The work of Dr. Chitan and the Royal SKN Police Force in restoring peace in our communities is a people centered program. The involvement of the Police in reaching out and working with young people in the communities is a people centered program. Providing quality health care, clean schools, increasing tourist arrivals are all programs that benefit people directly. The people of Nevis have expressed satisfaction with CCM and Team Unity, and it shows PM Harris’ competence, his all- inclusive leadership style and management approach in leading men from different political persuasions. Election is not yet due in St. Kitts, so it is not time for him to be re-elected, however, we can select him as the SKN PERSON OF THE YEAR for 2017. There is a Biblical based saying that, deceitful men love darkness and reject the light. The motives of many political opponents of the Prime Minister are darkened with lies and mischief. They think that to oppose means to mislead and fabricate untruths in a non-stop effort to gain political points. Lies, malice, hatred of the truth, mischievousness, jealousy, selfishness, and sowing discord amongst our people are all schemes of darkness. Their presentations on radio or in parliament plant seeds of division, contention, strife, rancor, disharmony, falsehood and untrustworthiness. These all produce BAD fruits that we do not want in our country because they lead to unbecoming and unwanted behavior and attitudes. Now compare that to the message of HOPE and OPTIMISM for our people that comes from the Prime Minister. It is not easy being the leader of a country, because enemy and friendly fire comes from all directions. It is easy to do like water and take the path of least resistance and return fire without regard to decency and respect of the office, and others. Ask Donald Trump! A caring leader must exercise self-control, restrain and take the high road, and thankfully, PM Harris had done just that in 2017. The days of reckless statements, shameless threats and verbal abuse are gone and we are seeing a different kind of leadership. 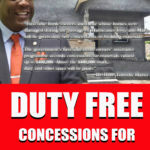 Light has come to government and the PRIME MINISTER’S OFFICE, removing darkness, illuminating thoughts and motives that are birthed in genuine care and concern to help the people of SKN. Compare then to now! Compare the behavior and attitude of former PM to present PM. Compare darkness to light. 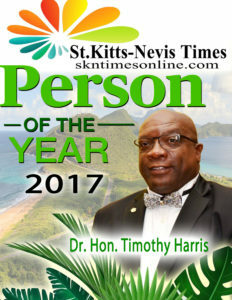 Should we not be happy that we have as our PM, a person like Timothy Harris, the SKN PERSON OF THE YEAR for 2017? In the years leading to the 2015 general elections, the country was plagued with scandals and man-made disasters. The entire country was in shambles and ravaged by pirates leeching the country’s resources. Special intervention was needed, and even now, the country is still undergoing rehabilitation, rejuvenation, revitalization and restoration in every area of our economy and society. To remain focused and diligent to this work, the leadership of Timothy Harris was pivotal and central to this remedial mission. His management of the purse has been exceptional and our public debt is being reduced despite new capital expenditure to spur developmental projects. 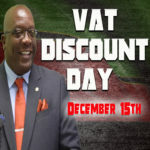 This stewardship of the country’s finances is truly commendable and Dr. Harris deserves to be complimented. The Federation was brushed by two hurricanes and suffered millions in damages yet the economy and finances were sufficiently strong and resilient to rebound, and to help other countries that were pounded by these storms. We must not take the strength of the economy and our finances lightly or the huge responsibility to manage it prudently. Dr. Harris has risen to the occasion and kept the ship sailing in 2017 in spite of Maria and Irma causing rough seas. Then December came, and VAT FREE DAY CAME, pay day came and DOUBLE SALARY CAME, paid to all government workers. As a people, we must appreciate what we have! We have a gem of a leader who has shown to colleagues, constituents and citizens that he truly cares for this country and its people. In return, quite honestly, it is a small token for us to name him, SKN PERSON OF THE YEAR, and say thank you so far Mr. Prime Minister for your leadership in 2017 and keeping St. Kitts and Nevis financially stable and progressive.